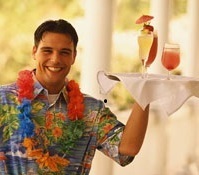 Truly great customer service, hospitality and bartender integrity are keys to success in any bar. Bar spotters are the way to measure the customer experience, drink pouring, cash handling, suggestive selling and of course ringing of all drinks and bartender ethics. The most constant aspect in the restaurant and bar business that every operator would like to achieve is controlling costs through loss prevention. When operators don't seriously scrutinize bar activities, bartender actions may include giving drinks away, overpouring, theft, and serving minors. Without professional bar spotting, the odds of catching them is remote and may result in significant financial losses! Are your bar inventories off? Are Cash receipts down? Measuring and monitoring your bartenders service gives you knowledge and confidence or insight in cash handling, ringing of drinks, suggestive selling and alcohol control, all of which are factors in your bottom line or profit margins. Information provided by our bar spotters about your bar gives your staff confidence in delivering your concept to your specifications. Statistics show that for every complaint received by a company there are another ten dissatisfied customers who simply moan to friends and use a rival company next time. Bar spotters give you an opportunity to correct problems in the "integrity of your bar" and overall guest service mistakes before word of mouth negatively impacts your business"
"Great service is only a great service when it has been ordered, bought and consumed. Loyal customers are built from great service." "Most services are generally delivered by people to other people and companies must strive to deliver top quality services to all of the customers all the time. Bar spotters are a key ingredient to your bars success. A customer's opinion of your company is always based on their experience of the product and service they receive. Our custom tailored bar spotters programs provide actionable data for informed decision making. Bar spotters are a direct and reliable method of assessing, customer experience and satisfaction. No other method can replace simple, effective feedback from anonymous bar shoppers, more commonly known as bar spotters. After visiting your business anonymously, our bar spotters posing as a member of the public, complete a detailed critique of their visit, giving you a complete evaluation of the bartenders service and the customers experience. Different bar spotters make several visits over a period of weeks or months depending upon what type of service you are evaluating. Bar spotters assignments are tailored to the clients needs. Satisfaction Services Inc are specialists in bar spotters services and are market leaders in our field. Our bar spotters results will give you unparalleled insight into alcohol control, ringing of drinks, cash handling and service procedures along with overall customer experience and satisfaction. Our bar spotters examine professionalism, sales techniques, closing skills, customer follow up and a whole range of other skills. Detailed feedback about problems with customer service and positive aspects as well is vital if you want to retain and expand your loyal customer base and market share. Use our bar spotters evaluations and "Top of the industry" back up criteria reports and gain the advantage over your competitors with a "user friendly" and reliable bar spotters program and learn what a trustworthy "bar spotters" program is all about! Please visit our Bar Spotters Client Demo to see what your Mystery Shopping Program will look like satisfaction services, inc.
"Our mystery shoppers are your typical customers and they will evaluate your company from the customers perspective". Site Map - News - Interested Clients "Customer Service" "Mystery Shoppers"
Please call us we look forward to speaking with you!